Alpinestars K-MX5 suit dresses you in racewear that's comfortable and compliant. This versatile kart racing suit conforms to the latest CIK FIA Level 2 homologation standards. Plus, it incorporates many premium features to deliver high performance and keep you on track for a win. The K-MX5 suit is stitched with three-layer construction consisting of a 100 polyamide outer shell, a poly-cotton twill membrane, and a poly-toweling lining for comfort, durability, and fit. 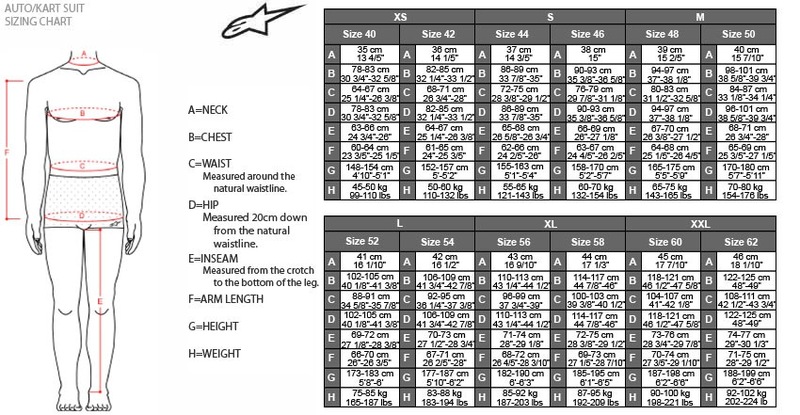 Of course you want to look good, and Alpinestars K-MX5 suit will never disappoint you or your fans with its superb cut, piping designs, logos, and Formula One style shoulder epaulettes. Ordered and shipped quickly. Arrived quicker than expected. Great service!